Nothing says fall better to me than the color orange. A nice shade of burnt orange makes me think of spiced tea, plaid, and [someone else] raking leaves. Fall officially arrived on Saturday. I have yet to see pumpkins on front porches, but here are some fun ways to add a pop of orange in your home to beckon in the season. Some ideas are short-term and easy to do, others fall into the category of home renovation. First, the easy ways to add orange to your color palate. 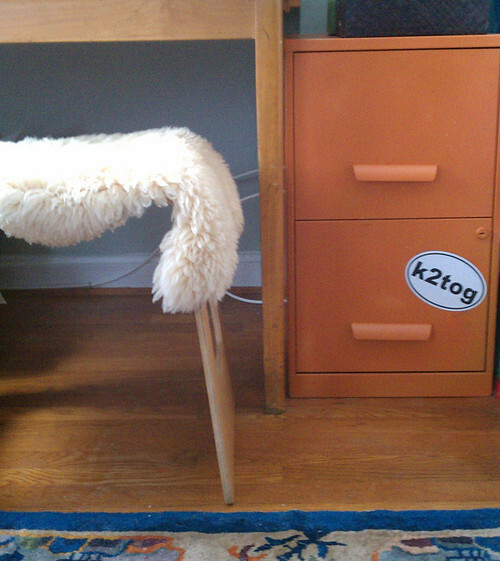 Spray paint an otherwise boring grey filing cabinet or piece of furniture. 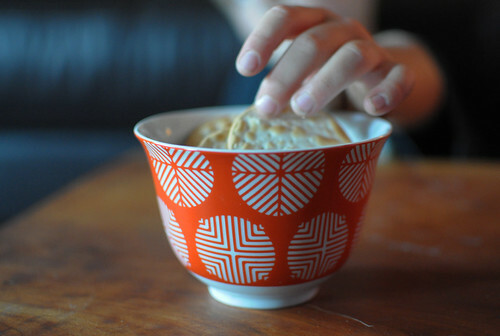 Favor some bright orange dishware. Toss some vivid orange pillows on the sofa. 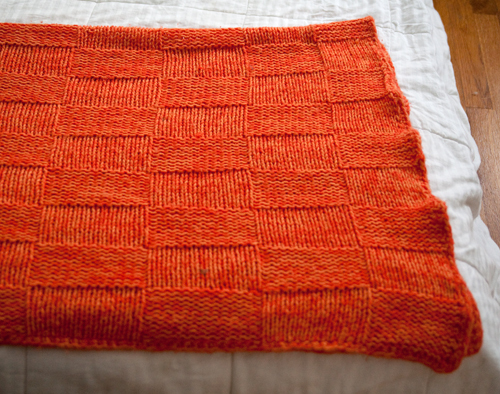 If you know how to knit (or want to learn), you can make a simple basketweave blanket for the end of the bed (knit a set number of stitches, purl the same number; reverse on other side). 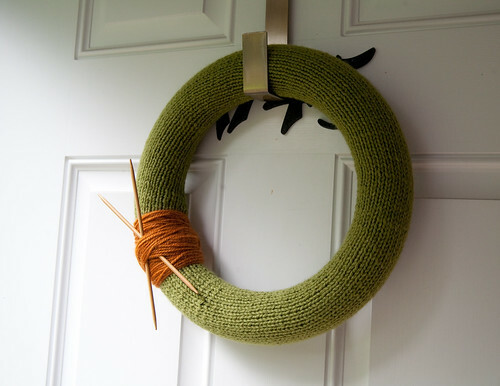 Or you can knit a simple wreath with a contrasting band of orange. 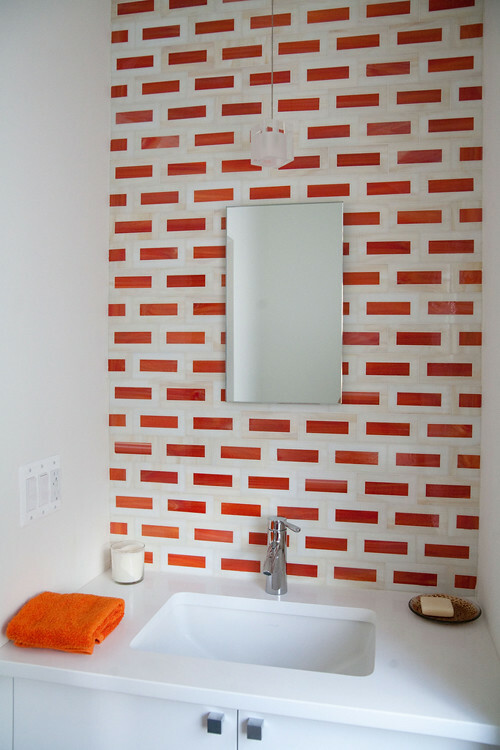 For some slightly more permanent improvements in the orange family, you could install a vibrant backsplash. 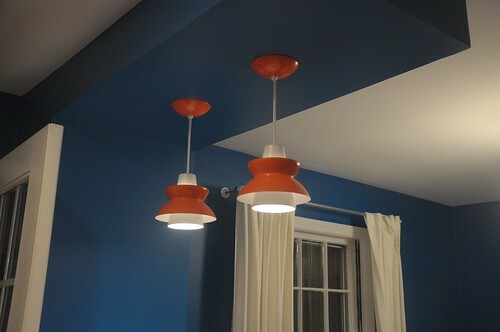 Switch out your lighting with some retro-inspired orange pendants. Be really brave and paint an entire room. 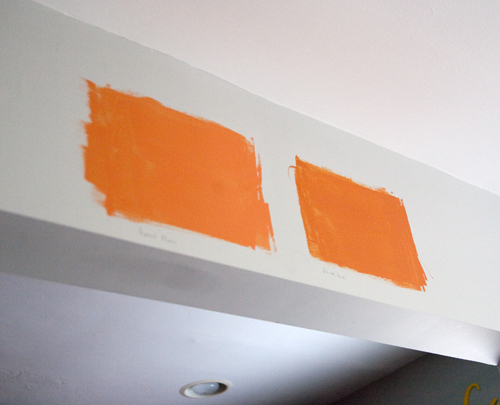 We’re debating if we like Benjamin Moore Harvest Gold (left) or Bronze Tone (right) better in the dining room. I think we should try some more shades before deciding. 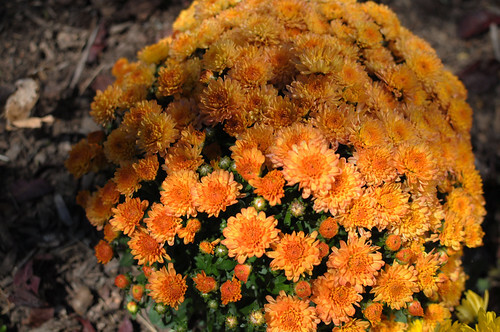 Warm and inviting, yet bold and vibrant, orange is a seasonal hue that you can enjoy now or any time of year. What colors do you like this season?